Well it's been a few weeks since the big day, but I still find myself reliving the moment as often as possible! Falling asleep looking at pictures every night probably doesn't help, but I'm okay with it. I had so much fun spending the morning with my girls. 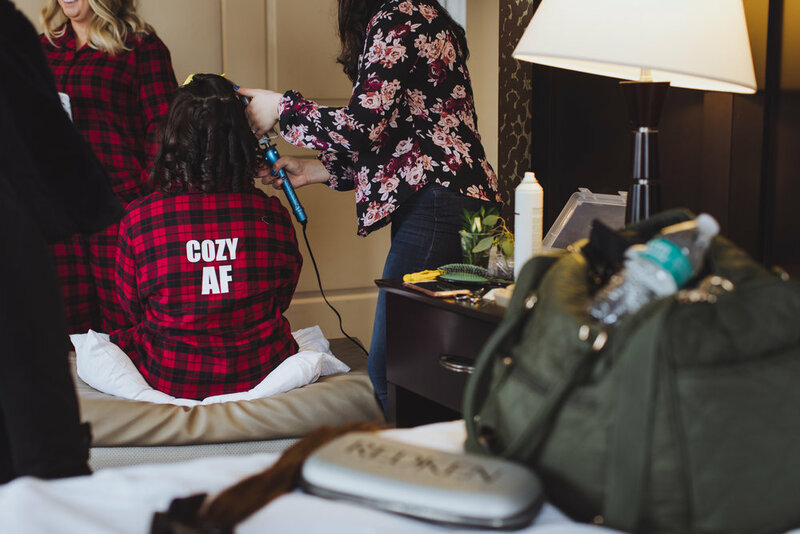 I honestly felt so relaxed getting to hang out for the day which made getting ready a fun process. Disclaimer - I did a TERRIBLE job of getting pictures of the bags I presented the girls with and then of all of using the items while we were getting ready. I'm SO sorry! 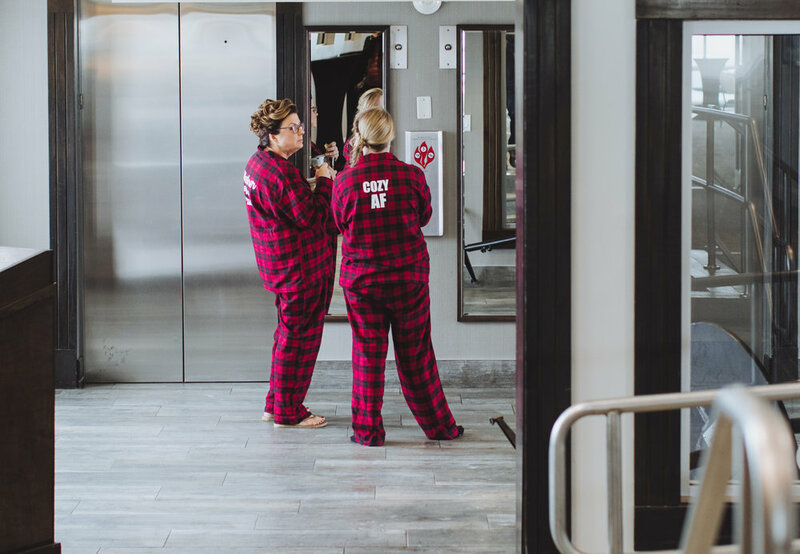 Pajamas: I opted for a thick pajama set for each of the girls just to do something a little different. 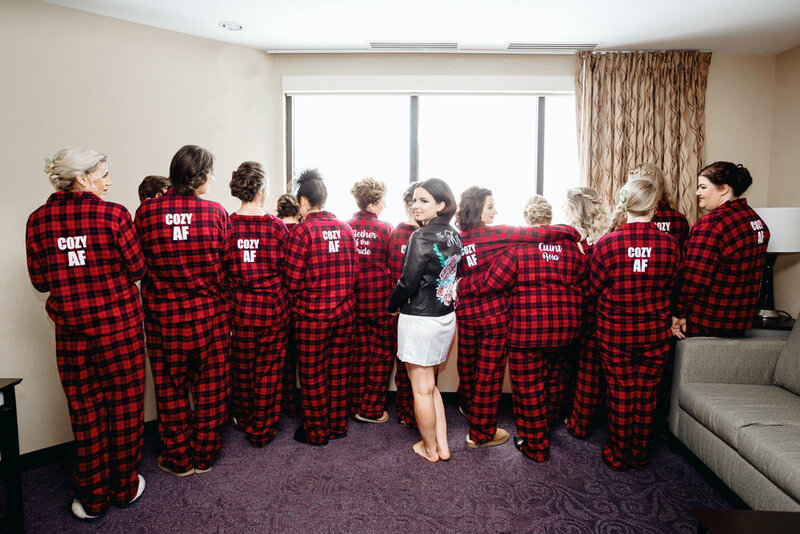 I know a lot of girls do robes, but if you've been a bridesmaid more than once you probably have your fair share of robes hanging in your closet. 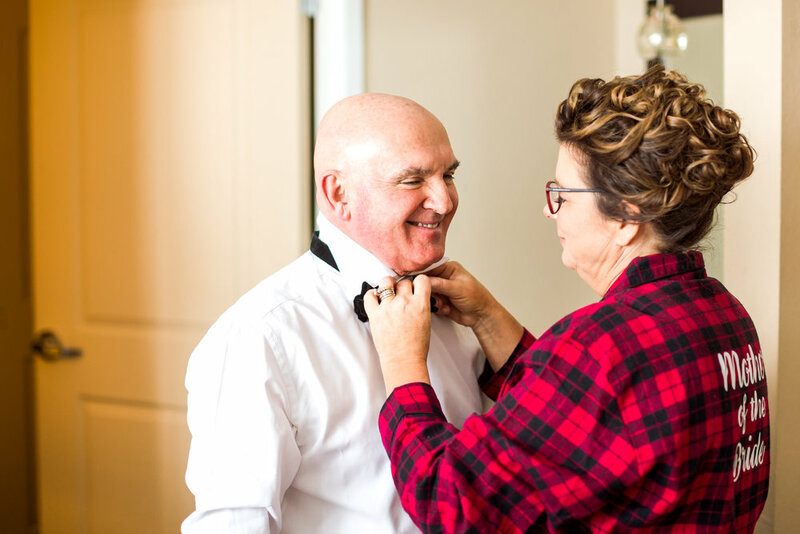 Since our wedding was in the dead of winter, it seemed like a fun time to get to play this up! I loved the flannel pajamas and ended up putting these super cute sayings on the back to make them more fun! *I purchased the pajamas separately and then had them printed on by SewWitteNY. The reason so many people do robes is because they are easy to take on and off once your hair and makeup is done. These pajamas buttoned in the front so they were also easy for us to use, but definitely something to consider if you're thinking about t-shirts or something like that! Travel Bag: As I mentioned above, I really wanted to give practical things. So I had my girlfriend, Joa, owner of SewWitteNY, print the girls names on these small canvas bags and then filled them with travel items the girls could use the night of if needed (or save them for their next trip). These gifts included hair spray, deodorant, mouth wash, Tylenol, etc. Personalized Coffee Mug: You guys know I'm obsessed with my clear glass coffee mugs, so when I saw a personalized version on Etsy I was all about it! I gave these to the girls the morning of so we all could use them while we got ready. I've seen a lot of snapchats and instastories of the girls using the mugs after the fact so I think these were a big win! *For my locals, I didn't know this at the time, but we have a local who makes these, Megan! Click here to check out her Instagram.